"I am one of those folks who had always said that a Travel Ageny wasn't a necessity... let me tell you I am a convert." 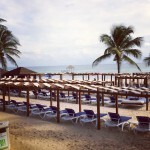 Co-Owner Mike McHugh visited Azul Fives in Riviera Maya, Mexico. GIVC Awards 2013 - El Dorado Royale - Day 4. This was the Awards Day. Mike and Amanda spend Day 3 of the GIVC awards learning about the Karisma properties and what's to come in the future! Mike and Amanda spend their second day of the GIVC awards touring properties and other agent events! Amy, our co-owner, and her two daughters recently traveled to Azul Sensatori in Mexico for a girls trip/workation. Dream Makers Vacation Services is a leading seller of family travel and our goal was to evaluate the Azul vacation experience. Amy takes her daughters to Azul Sensatori for a quick workation.